When there's nothing else that can be done to ease the suffering your pet endures each day, a restful end can sometimes be the only way you can still help them. Caring pet euthanasia is a way of controlling the way in which your pet gets to move on from this life. While they're being loved and cared for, and through a process which is very gentle indeed. First of all, it's important to remember that this happens in your own home and is entirely pain-free for your pet. The process of putting a dog down or putting a cat to sleep will always begin by giving them a small injection which makes them unconscious, usually followed by a stronger injection which lets them peacefully drift away. With there being no need to transport your pet down to your local clinic, they can remain as relaxed as possible. You'll simply welcome one of our animal-loving Vets into your home and they'll make sure that your pet has everything they need to feel safe and loved. You can be present at all times to say goodbye if you wish to be. Your Caring home visit vet is highly experienced in pet palliative and end of life care. They'll always be able to advise you on how best to proceed. If you need to know more about the exact nature of the process, or any of the practicalities such as the cost of putting a dog to sleep or cat euthanasia costs, please get in touch with us. 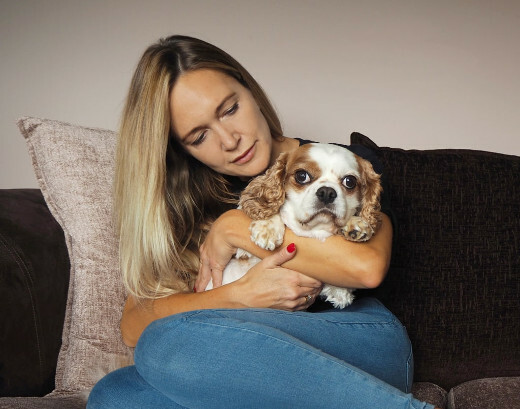 All of our team are pet owners or former pet owners, many of whom have gone through the process themselves. They're as used to discussing the anaesthetics involved as they are the cost of putting a cat to sleep or the grieving process. Getting the right pet pain relief can be difficult without someone who knows the signs to look for. Many animals, especially cats, show signs of pain or discomfort which they're experiencing in ways which a human does not. This makes it important to spot changes in their behaviour, such as eating less or more, unwillingness to sleep, or desire to sleep too much. 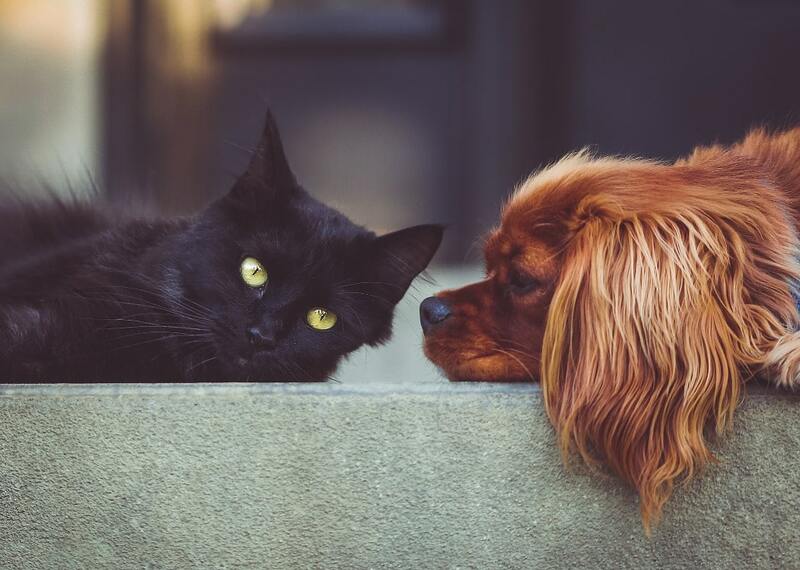 If your pet has recently been diagnosed with a serious medical condition, is nearing the end of their life, or if you're simply worried that they're in pain, one of our experienced home visit vets can visit you in person. They will consider all aspects of your pet's life - their home environment, the amount of exercise they take, and their medical conditions - when selecting the right treatment. You'll find that while we do have a wide range of the latest pain relief for dogs and an extensive variety of pain relief for cats, we also take into account nutrition, exercise, and other factors in trying to ease your pet's way of life. Your friendly and experienced Vet will talk you through exactly what's wrong with your pet if you don't know already, and discuss how the medication or regime they prescribe will help in alleviating it. You can rely on having support and advice about pet pain relief provided by phone at any time. Our entire team is made up of animal lovers and pet owners, all of whom know exactly how vital your pet's health, happiness and well-being are to you. The immediate aftermath of your pet passing away is heartrending, and it can often make handling the practicalities of what comes next almost impossible to think about. For this reason, we've made it so you can simply ask us to take care of your dearly departed. They'll be gently taken to our nearby chapel of rest where you can visit them in person before their pet cremation service takes place. Our chapel of rest is specially adapted for animal cremation and is fully accredited. The staff there know just how you'll be feeling - they're animal lovers or former pet owners themselves - and will be helpful and respectful at all times. You'll be free to choose dog cremation or cat cremation performed either solo or as part of a group. In the case of solo cremations, we'll be able to return your pet's ashes to you for spreading in whatever favourite location you've chosen. In the case of group cremations, we welcome you to be present at the spreading ceremony, which will take place in the attractive grounds of the chapel itself. Ask us anything you need to know about the process itself or about pet cremation costs at any time. Deciding on how to memorialise your pet can be a difficult decision. With so many feelings involved, from the joy they brought into your life, to your grief at their passing, it can be impossible to choose one thing or phrase which says everything that you want to. As animal lovers, we've been there ourselves, so we've decided to have a select range of pet memorials available in order to make the process easier. Whether you think your pet would be best remembered with a simple marker to place where you've spread their ashes, or you want to keep the ashes themselves in a container which reminds you of them, we'll have something which suits. There's no need to go hunting around for tasteful pet memorials at a time when you likely don't want to be doing too much at all. If you have something specific in mind, please do get in touch and talk to us about it. We might be able to source something or point you at the part of our range which will meet your needs.